Sohrab Ahmari, 33, is a New York City journalist and Catholic convert. He grew up in a nominally Muslim home in Iran under an oppressive Islamic regime and had renounced all religion by his teen years. In 1998, at age 13, he immigrated with his mother to the United States and lived with an uncle in rural Utah. He taught special education and later attended law school as a young adult, but decided on a career in journalism. He began as an intern for The Wall Street Journal and subsequently worked five years for the Journal as a writer and editor. He is now the op-ed editor of the New York Post. On July 26, 2016, after the killing of Fr. Jacques Hamel, 85, in his church in France by Muslim terrorists, Ahmari announced on social media that he was converting to Roman Catholicism. 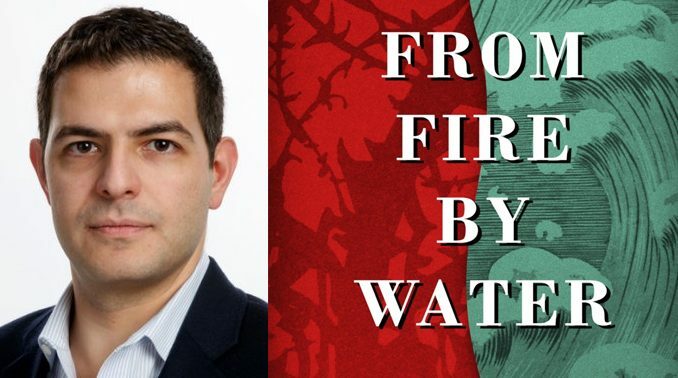 Some mistakenly thought his conversion was due to the priest’s murder, so he wrote a memoir, From Fire, by Water: My Journey to the Catholic Faith (Ignatius Press, 2019), to give a full account of his conversion. 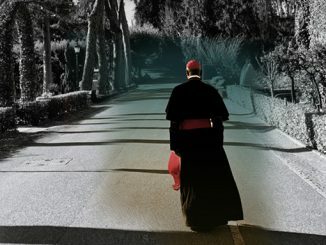 He spoke recently with CWR about his book and his journey into the Catholic Church. CWR: What was it like growing up in Iran? Sohrab Ahmari: My father was an architect, and my mother an abstract expressionist painter. So, I grew up in an artistic milieu in post-revolutionary Iran. There was a clash between my worldview and lifestyle at home and what occurred outside the home, where Islamic justice was enforced by flogging and prison. This tension had a profound impact on my faith journey. CWR: What was life like as a Muslim there? Ahmari: I wouldn’t describe myself as growing up Muslim. I was thoroughly secular. The only exposure I had to Islam was in school, where instruction in Islam was mandatory. My maternal grandparents practiced Islam somewhat, but even they broke the rules sometimes; they were okay with an occasional glass of wine [forbidden in the Koran]. So, ours was a humanistic, liberal Islam, which clashed with the spirit of the 1979 revolution. I was, however, moved by some aspects of Shiite Islam, which has many stories of martyrdom. The idea of sacrifice was seared into my mind powerfully. It stayed with me. But by 13, I decided that I was an atheist and renounced all faith. CWR: Were your friends at school serious about the practice of Islam? Ahmari: It varied. 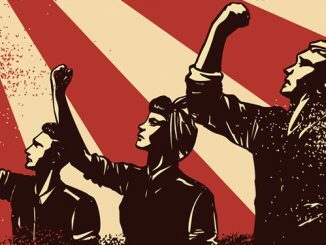 We tend to self-select the groups we want to be with, so when I invited friends over to my house to play, they tended to be those with secular liberal backgrounds. We would only pretend to be observant Muslims in public. CWR: Why did you leave Iran? Ahmari: The environment in Iran was miserable. It is an oppressive theocracy, with messianic ideas about its place in the world. Iran had unwisely gone to war with Iraq, and the economy was in a shambles. We were paranoid about the secret police. My parents drank, and we watched Western movies, which are against the rules. You always have a fear about the morality police, or morality committee, coming after you. So since age 7, I had always had this idea that one day we’d immigrate to the U.S. Anyone who has the means to get out will get out. I had an uncle who settled in the U.S. in the late 1970s. He arrived as a student, the revolution came, and he stayed. So, about a month before my 14th birthday, my mother and I received green cards and we left to live with him in rural Utah. My parents had divorced, so my father stayed behind. CWR: Do you want to return to Iran to visit? Ahmari: No. There are many problems with me going. I converted to Christianity. Apostasy is punishable by death in Iran. Now converts aren’t usually charged with apostasy, as the regime is sensitive to PR. However, they would likely be charged on trumped up national security charges and wind up in jail. Keep in mind that evangelism is illegal in Iran. Possessing a Persian-language Bible — Persian is the language of the majority — is illegal. I’ve also worked in the Western media, including at the New York Post and The Wall Street Journal. I’ve criticized the Iranian regime. That could put me in jail. I am an American citizen, but if I were to go to Iran, that wouldn’t matter. I wouldn’t be treated as an American. CWR: Robert George has said that you “made a series of bad choices” in Utah. What were those? Ahmari: I rebelled against the society into which I was born, and then I came to the U.S., and I shifted my oppositional posture to my new society. I had idealized America from afar, but I was shocked to discover when I arrived that parts of it are deeply religious. People talked about God, and the political order was underpinned by ideas about God. I took up intellectual arms against it. I embraced the ideas of Friedrich Nietzsche, who proclaimed the death of God. I became a nihilist. I later became a Marxist, and joined a Trotskyite group in college. I explain this in detail in From Fire, by Water. The worldview I’d adopted conveniently provided me with an alibi for my personal failings. I believed that there was no such thing as human nature or objective morality, and that good and evil are social constructs. I was intellectually and morally confused. CWR: How did you come to Catholicism? Ahmari: I was dismissive of all faiths, as I recount in my book. In the memoir, I recount how, starting from the atheism I adopted at age 13, I came to believe in God, and then a personal God, and then the God of the Bible. The hardest part was believing in a personal God. Once I believed this, my journey to Catholicism became much easier. CWR: Were there any people who were particularly helpful to you along the way? Ahmari: Pope Benedict XVI. I read his book Jesus of Nazareth. I didn’t understand all of it, but it did demonstrate that you can be intelligent and use reason and still accept the claims of faith and Biblical religion. In Benedict’s telling, the story of Christ is really just one narrative spanning the Old and the New Testaments, with God drawing ever nearer to His creation. He also makes a persuasive case that the witness of the four Evangelists is very credible, even though they didn’t use tape recorders or journalist’s notes. CWR: What would you like Americans to understand about Islam? Ahmari: My ideas about Islam are now linked to my Roman Catholicism, so I can’t relate as a neutral observer. But I would say that I care about it as a political issue: how do Western societies come to terms with Islam, both as a world religion, and for Muslims living within the boundaries of Western countries? The relationship between the West and Islam would be easier and make more sense if the West was clear about its own identity and Judeo-Christian roots. As French philosopher Pierre Manent has said, the West bears the mark of the Cross. The Muslim who looks to the West sees the Cross. Our two cultures could encounter one another on clearer terms if the West were not secular, standing for nothing. That imbalance causes a lot of friction. Having the West return to Christendom sounds like a restaging of the Crusades, but in reality it would make everyone more comfortable. 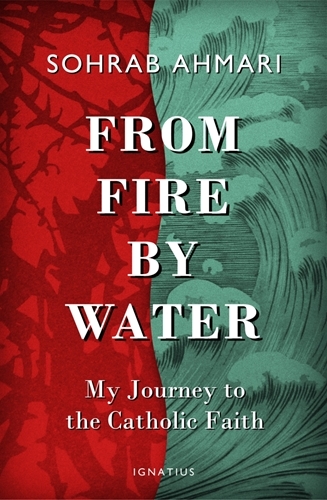 CWR: Why did you want to write From Fire, by Water? Ahmari: When I was first studying to convert to the Catholic faith, I didn’t plan to announce my conversion to anyone until I was baptized. On July 26, 2016, two months into my instruction, Fr. 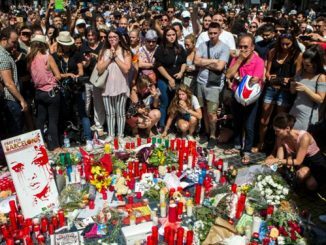 Jacques Hamel was killed by two Islamist militants. I felt like I had to react, so I took to my Twitter account. I denounced this atrocity and mentioned that, by the way, I’m converting to Roman Catholicism. The tweet went viral. Many people contacted me with mostly positive comments. However, there was some misunderstanding. Headlines appeared in Christian publications that I was converting because of Fr. Hamel’s murder, even though I was already receiving instruction when that happened. I was overwhelmed by the reaction. So, when Fr. Fessio contacted me and asked me to write a book about my conversion, I thought it was a good opportunity to set the record straight. My conversion was not an emotional reaction to the murder but a well-considered decision. I think I have an interesting life story, exotic because of my background, but it’s ultimately reflective of the universal search for truth. CWR: Who should read it? Ahmari: It is for everyone. However, I would especially love to see it in the hands of some version of me, age 22 or 23, when I was drunk on Marx and Nietzsche. Had I had such a book, it would have saved me a lot of trouble, heartache, and pain. It would be ideal for the young reader curious about ideas, and I hope it will inspire him to first give the Bible and the catechism a chance before ruling them out. CWR: Has it been hard to adjust to life as a Christian? Ahmari: No. It has brought tremendous order and metaphysical direction to my life. Life was harder before I had faith. CWR: What have your friends and co-workers said about your conversion? Ahmari: Some were surprised, especially since for such a long time I publicly proclaimed I was an atheist. But some Catholic friends are now recommending good spiritual books, and I’ve been introduced to a new scene of young Catholic writers and intellectuals. We share the same foundation, and react to the world together. as I live near New York City I would like to know what this “new scene of Catholic writers and intellectuals” is, where it is, and if I could stop in for a coffee-chat. Yet another book I need to read this year. Sohrab Ahmari is an inspiration. Oh, if only my son would read your book. I have yet to read From Fire, By Water but Mr Ahmari’s account of the book’s genesis is interesting in itself. I have read his The New Philistines, which is an outstanding polemic against ”identitarianism”, the name Mr Ahmari gives to the identity politicization of the arts, whose destructive effects are visible in almost all our cultural institutions. It is a short book – only 107 pages – but its importance is inversely proportional to its length.